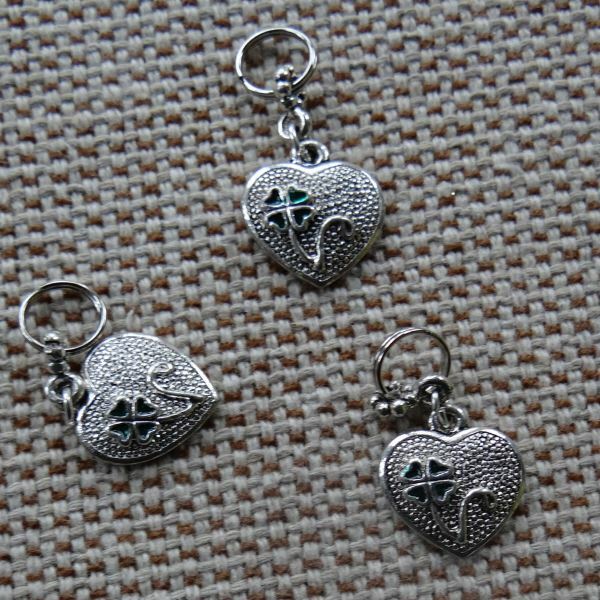 This small metallic heart dog collar charm is embellished with a shamrock. The perfect gift for the Irish pet on St. Patricks Day. It measures a little over 1/2" wide. There is a spring clasp for attaching to your pets collar.